Air sealing with caulk, weather-stripping, and other appropriate materials is a fundamental step in making your home more energy efficient. Individual gaps may appear minor, but collectively they can have the same effect as leaving a window open all year long. 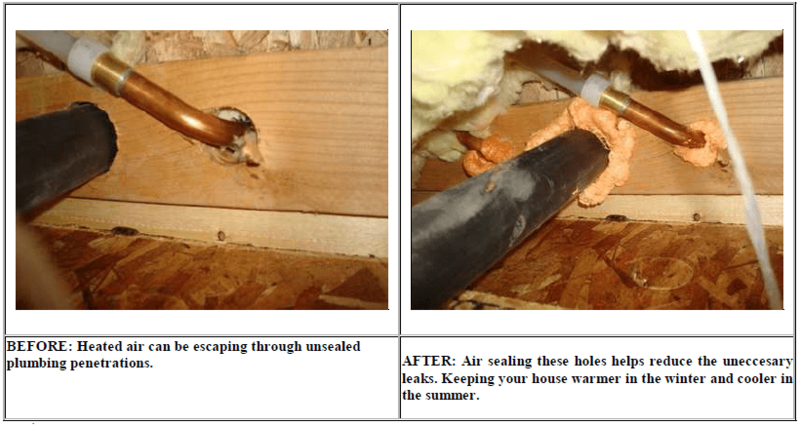 According to the Department of Energy, proper air sealing of gaps and holes in the attic, crawlspace, and other breaks in the thermal boundary can save 10 percent or more on your energy bills. the exterior walls, ceiling, windows, doors, and floors, is often one of the most cost effective ways to improve your home’s energy efficiency and comfort. 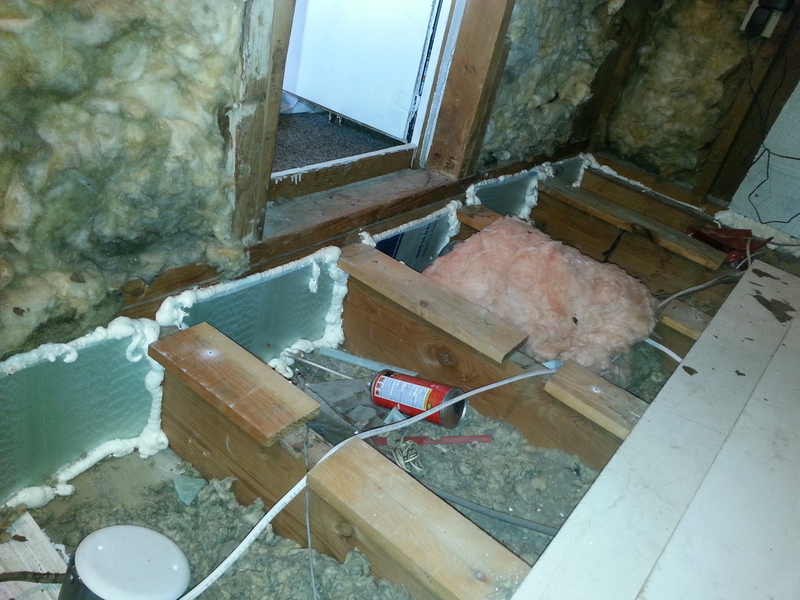 Air sealing should always be performed before any insulation is added. It can save 10 percent or more on your total annual energy bills. What does the air sealing improve? What areas should be air sealed? weather-stripping, etc.) 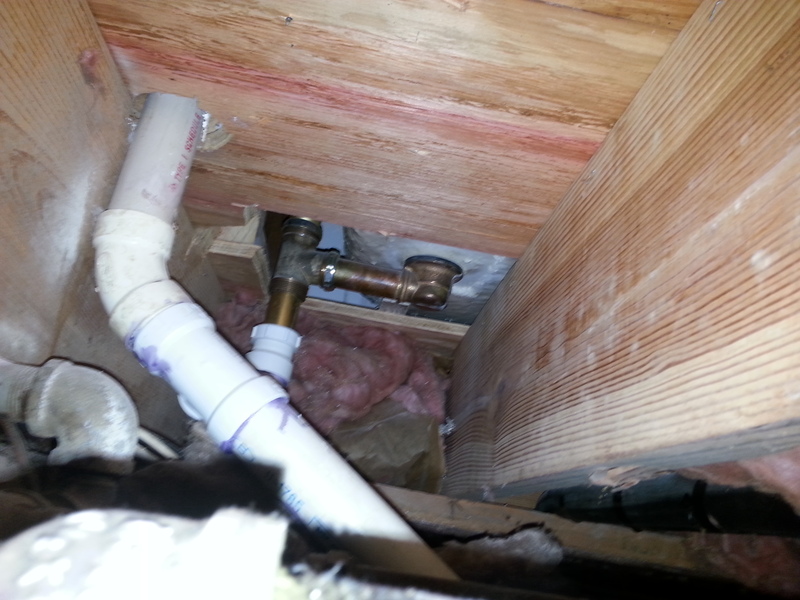 will vary depending on the nature of the leak and the surface to be sealed. 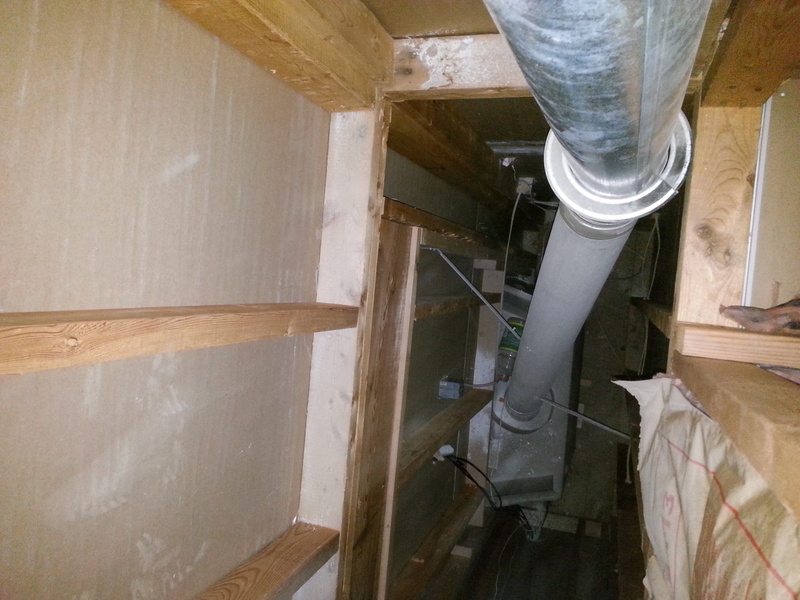 In two story homes there can be attic areas to which underneath the floors are open. This air penetration between the upstairs floors and the attic areas can also have a negative impact on your electric bill. To seal under the floors expanding foam and rigid foam board are placed between the joists in the attic closing penetrations, before adding insulation if necessary.